Contract just fell thru! Location!Location!Location! Mins from Rt 9 and near I-81. 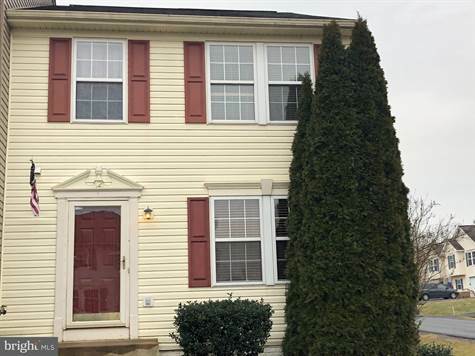 Cozy end unit townhome in Hedgesville School district! This home offers 3 bedrooms, 2 1/2 baths, Eat-in Kitchen with island, large living rm with hardwood floors, luxury vinyl tiles in kitchen and both bathrooms, family room with laminated flooring, laundry room with rough-in plumbing for bath, hp/cac, and deck. Call today to see this home before its gone!